Day of Hope is a new community film about the Chartist movement in Stroud. ​Written and directed by John Bassett of local theatre company Spaniel in the Works, the film explores the fight for the right to vote and the variety of campaign methods adopted to finally succeed. 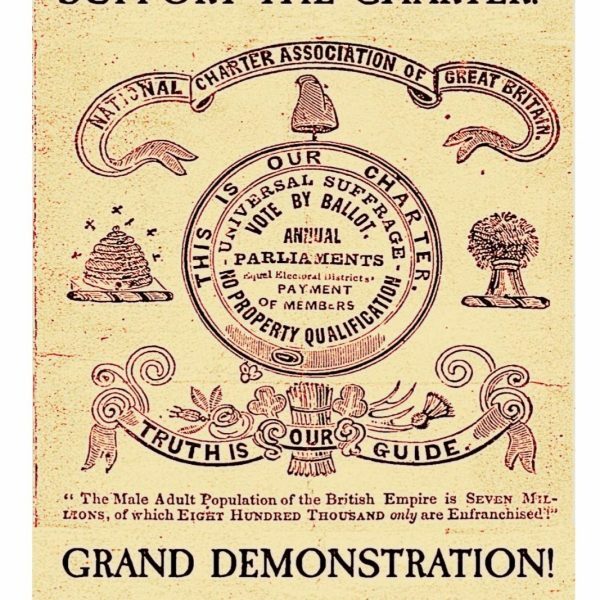 Part drama, part comedy, part surreal journey through the Stroud political landscape, the film commemorates the meeting on Selsley Common which took place 180 years ago, in May 1839, in support of the Chartist demands for democracy. This event is part of the Steampunk Festival weekend and is complemented by a walk in the morning conducted by Radical Stroud.